In the Aftermath : Does Europe offer a way forward for Youth Work? 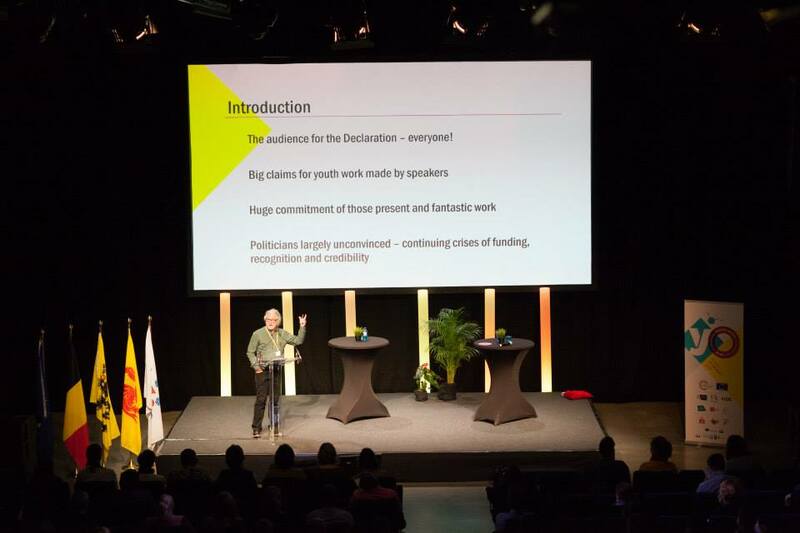 Earlier this month we commented favourably on the appearance of a Second European Youth Work Declaration in a post, Developing Youth Work in Europe : Do we want to be part of it? We were more than pleasantly surprised by its progressive tone and content, despite the inevitable pressure to stress youth work’s role in improving ’employability’ and combating extremism/radicalisation, the latter dangerously slippery concepts. Great credit is due to those, who burnt the midnight oil in producing the document, not least Howard Williamson, a major figure on the European scene for many a decade. It is clear that the group did listen to messages coming from the floor of the Convention and that a bureaucratic script was not written in advance. Youth work is not a luxury but an existential necessity if a precarious Europe is to effectively address its concerns about social inclusion, cohesion and equal opportunities, and commitment to values of democracy and human rights. Youth work is a central component of a social Europe. A failure to invest in youth work has three consequences. It is an abdication of responsibility to the next generation. It is a loss of opportunity to strengthen contemporary civil society throughout Europe. And finally, it weakens the potential for dealing effectively with some of the major social challenges (such as unemployment and extremism) of our time. Such Declarations can easily gather dust on politicians’ and management’s shelves, never even coming to the notice of many youth workers. However in the aftermath of the General Election in the UK and the continuing crisis facing youth work, especially perhaps in England, there is a powerful case for considering whether the European Declaration can be a rallying call. Certainly in the coming weeks we will be sounding out tentatively whether major youth work players feel there is mileage in an initial major conference, which uses the Declaration as a catalyst to a renewed debate across our differences about the future. Faced by five years of continued Tory austerity and hostility to informal education don’t we need to explore how we will resist or indeed how we will compromise?